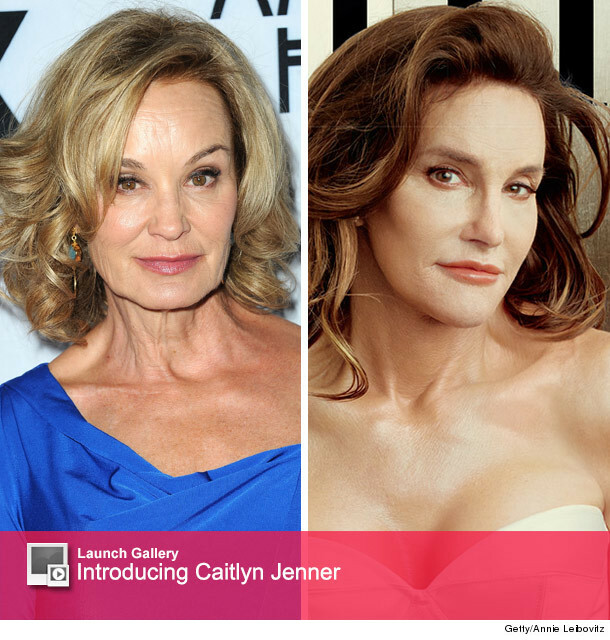 Jessica Lange doesn't mind the Caitlyn Jenner comparisons one bit! The "American Horror Story" star chatted with The Daily Beast on Monday, where she addressed her newest doppelganger. Earlier today, Caitlyn Jenner (formerly Bruce) made her big debut on the July cover of Vanity Fair. In the cover shot, Jenner looks stunning in cream-colored lingere while showing of her hot new physique. Caitlyn quickly captivated the world with her bold debut, with family members, fans and fellow celebrities praising her bravery and beauty. But what many also noticed was Jenner's likeness to the "American Horror Story" star, whose name quickly started trending on Twitter soon after the cover was released. "What does that mean?" Lange asked when The Daily Beast told her she was trending. "You have to explain what that means to me." The Daily Beast then informed Jessica that people have been saying Jenner's beautiful Vanity Fair cover looks a lot like her. "Oh really?" she said. "That’s so wonderful. Well now I’m going to have to look for that picture." "Trending on Twitter because Caitlyn Jenner on the cover—you see I don’t do any of this stuff, the Internet," she continued. "So I have no clue when people use this terminology. I have to repeat it to understand. That’s an interesting bit of information." The 65-year-old's Vanity Fair cover is the very first time the world has seen Jenner as "Her." The former Olympian gold medalist announced that she was planning to fully transition into woman during her interview with Diane Sawyer back in April. Check out more stunning shots of Caitlyn in the gallery above! Meet the "Extra-Ordinary" Actors Behind "American Horror Story: Freak Show"